You are browsing the archive for Projects and Activities. Next time you go out with your child and don’t know how to keep him busy, do not pass on your cell phone over to him…there is another creative way of ‘whiling’ away time. You will enjoy every bit of it. Yes, you need to involve yourself, but in case you cannot it will still work well. Carry a small notebook or better still a sketchbook and a pencil or pen every time you step out! Yes it works all the time. Of course your child may not show interest in the start but you have to teach him simple games like the good old tic-tac-toe or join the dots. 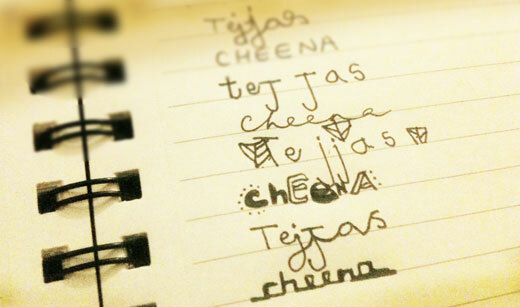 It is quite a ‘mental’ excercise…can easily get addictive! LOL!! Everyone likes to decorate their walls with meaningful art. Art that reflects their taste and style. 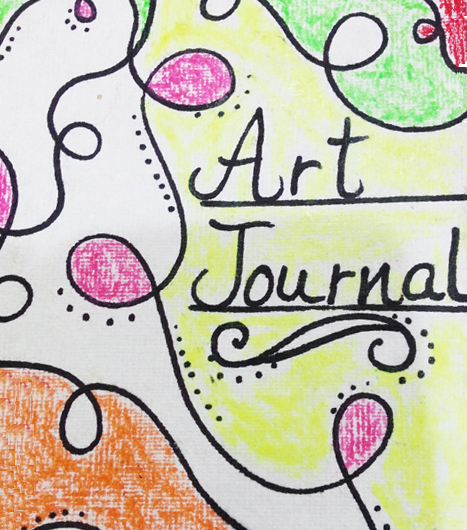 Have you ever considered using your child’s art as ‘art’? My wall is full of art by my son and I love to look at all the lovely drawings and paintings he has created, some for me some for his dad and some just for simple, happy smiles for all who visit us from near and far. Art never seizes to give happiness and pleasure, no matter who created it. 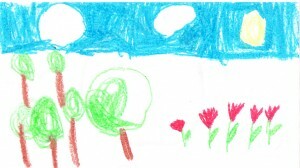 Your child will feel so great, so very important if you start ‘collecting’ his art. You can get it framed in various colors complementing the drawings. Some black and white sketches look best with black frames. 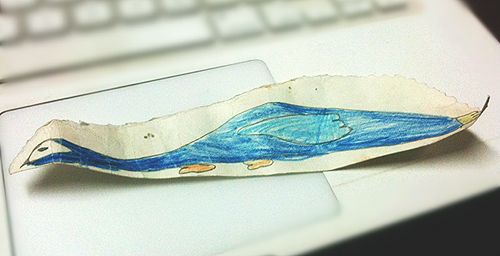 When my son was very little, he had a fascination for airplanes, he drew all shapes and sizes. I got them all framed in black, tiny frames that looked awesome when all put together. Consider using bright frames, like red…but keep it thin, so that it looks more like an ‘outline’ than a frame. I highly recommend framing your child’s art. You will love it. And imagine how much it will boost his self esteem. 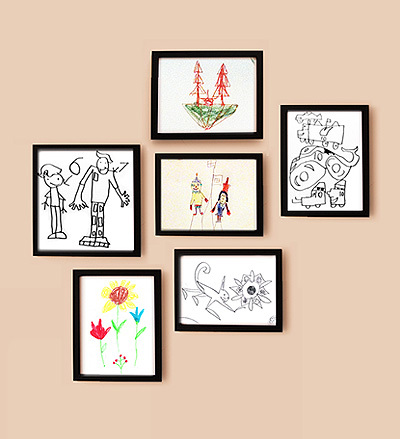 Your little artist needs a wall of his own! Go ahead, give him one…maybe two…why not? A very interesting word indeed! The moment you think of it, a whole lot of images pop in your mind. It gets filled up with ‘patterns’. You step out of your home, notice your gate and that of the neighbors. The tiles along the roadside, the fences and the trellises. The flowers, the trees. The birds and the bees. Aren’t these all made up of patterns? Oh, yes! Anywhere you go, you are bound to find a pattern. And yes, inside you as well…we humans follow patterns too, patterns in our behavior and patterns in our thinking. A pattern may be organic or geometrical. 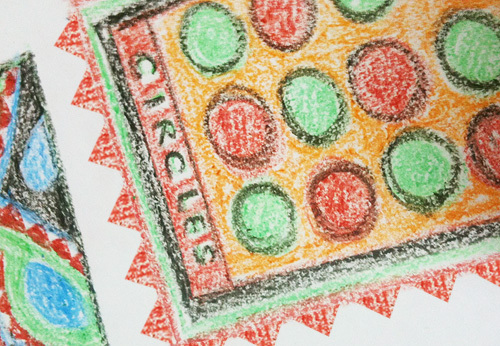 Draw some basic shapes and let your child fill in the colors. See what beautiful art emerges. Each one so amazing and so vibrant! Before you know you have some lovely pieces for your walls. Small children love to tear paper, any paper. Important or not so important. They just like to rip! Well, if you join in, you might enjoy it too. Is it the sound, is it the feeling or is it the only thing that comes to mind when they see paper? Hard to tell, unless you ask. Hard to tell, unless you get the right answer. Tearing the paper, releases stress. I asked my son why he likes to tear paper. He usually tears it around a drawing, so that it forms the shapes he has drawn out. He told me once that he tears it so that it looks more ‘real’, perhaps he meant more organic and natural. He likes to draw a lot. He sometimes draws out forms of animals, birds, cars and a lot of more, on torn sheets of paper. The forms are derived from the shape of the tear. One torn paper might look like a penguin, while the other seems like a snake. It is a creative exercise, no doubt. It is a lot like watching the clouds and imagining the shapes Wait, I just spotted a smiley up there!! There are several activities around torn paper that you can do with your child too. Tearing paper is good for fine motor skills. Take newspaper, take color sheets, take any paper, just tell them to tear to their heart’s content. After they are done, they can draw out shapes on another sheet of paper and then paste these torn bits on it. Before you know, you will have a whole lot of art waiting to be framed. Creative and original. Tearing can be so much fun! 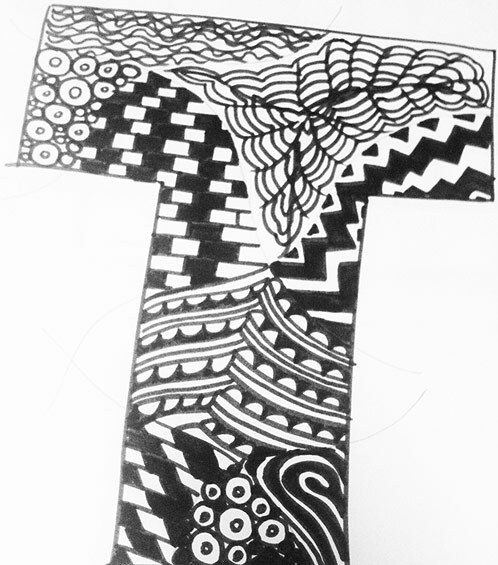 Zentangle — a type of meditation achieved through pattern-making, created by artist duo Maria Thomas and Rick Roberts. Each pattern is built one line at a time, organically combining simple patterns into complex zentangles in unplanned, unexpected ways that grow, change and unfold on the page as you enter an immersive state of flow. As kids, as teenagers and also as adults we sometimes doodle, aimlessly, sometimes to while away time, and some times just for the sake of doodling…maybe we can’t think of anything better to do. For whatever reason we do it, our brain seems to ‘like’ it and enjoy it. It feels like we have entered the state of flow. 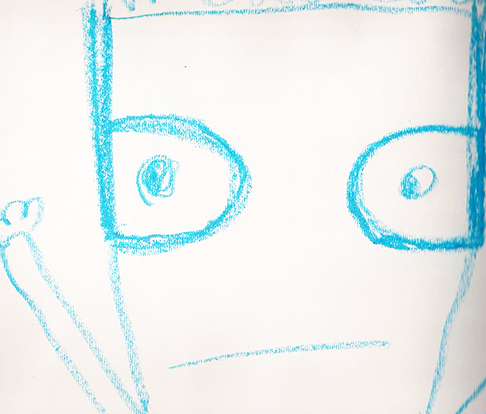 A research proves that people who doodle retain 29% more information than those who don’t!! 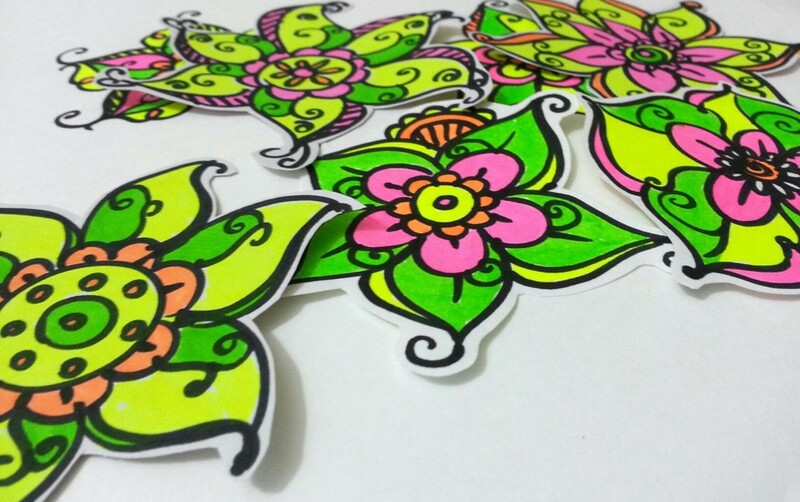 Feel free to share your zentangles with us.